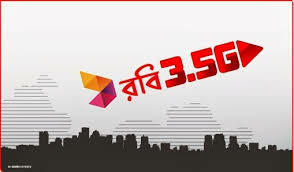 Robi gives high quality 3G or 3.5G internet service to enjoy downloading, streaming, browsing etc. robi brings 3G or 3.5G internet packages for their prepaid-postpaid both users. See also: Robi 2G Internet Packages. How to active Robi 3.5G ?? • see also: how active or deactivate auto renewal?